Calendar | The leader in Ballroom dancing! Calendar – The leader in Ballroom dancing! NEW BEGINNER II CLASS! – Class starts Thursday, April 25th @7:00pm. This class continues where Beginner I leaves off. We build more dances for you to learn. Classes are 8 weeks – $80pp. Location: Boulder Creek Ballroom. $10 deposit to hold your spot is required. Learn the Waltz, Tango, Rumba, and Swing! Dress comfortably. No street shoes! Only dance shoes or socks, please! NEW BEGINNER III CLASS – Wednesday, April 23rd @7:00pm – This class picks up after BI and BII. We learn fun Samba and Mambo! In addition, we build onto the Waltz and Foxtrot. A great combo! This is an 8-week course for only $80 per person. Sign up ahead of time, please. Classes at Boulder Creek Ballroom. Call 585-503-7087 to register or email Susiebballroom@gmail.com. BRONZE BOLERO This is a new 4-week class starting Tuesday, April 23rd @7:00pm. Only $44pp. Bolero is the slowest of the Rumbas. This is beautiful and romantic! Learn the basics and Bronze level steps. Best if you have BI and BII under your belt! Sign up ahead of time! Location: Boulder Creek Ballroom. $10 deposit to hold your spot is required. NO street shoes, please! Dance shoes or socks only. Bring big smiles and a partner! 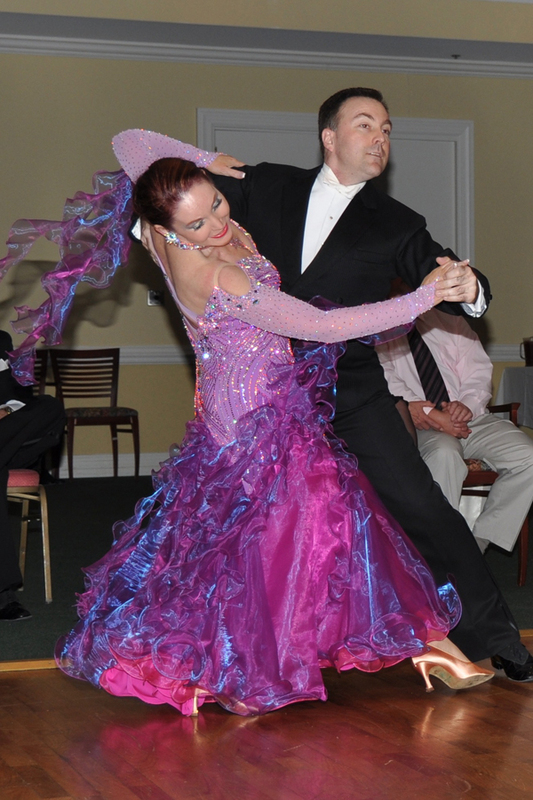 QUICKSTEP CLASS – Wednesday, April 24th @8:00pm – The Quickstep is everyone’s favorite dance! A fun, fast-paced dance. As long as you know Foxtrot and Cha Cha Cha, you are good to take this class. This is a 4 week class for only $44 per person. Sign up ahead of time, please. Classes at Boulder Creek Ballroom. Call 585-503-7087 to register or email Susiebballroom@gmail.com. AMERICAN CHA CHA CHA CLASS! This is a 4-week class starting Sunday, April 28th @12:00pm. Only $44pp. This class is fun and we offer lots of new Cha Cha steps. You should have the basics! Lots of great Cha Chas on the radio. Sign up ahead of time! Location: Boulder Creek Ballroom. $10 deposit to hold your spot is required. BALLROOM DANCE PARTY – SATURDAY, MAY 4TH @ 7-10PM. Dances will be on the first Saturday of every month! This is where you get to practice what you are learning in class! Work on your steps, floor craft and meet some other really nice ballroom dancers! Music being played will be Ballroom/Latin/Country/West Coast Swing. The beginning will be a quick 20-minute Intermediate Lesson each month on a different dance. February Dance Lesson will be a Latin dance. $5 per person. Please let Susie know if you plan to attend if possible. RSVP!!! Thanks! Watch for our Showcase Party Date coming soon! You can be the next star! Talk to Susie about what it takes to perform. It is a lot of fun!